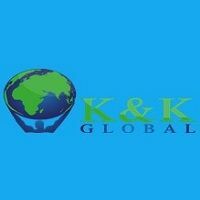 K and K Global - See how you can sell your house quickly, easy and for cash! Get a fast cash offer today. Give us a call at 770-310-6213 to learn more. See how you can sell your house quickly, easy and for cash! Get a fast cash offer today. Give us a call at 770-310-6213 to learn more. Welcome to GlobalCashHouse.com in Georgia area top buy and sell home seller. Sell your property with no commission. GlobalCashHouse.com is a local, family owned business that helps Georgia homeowners sell their house fast and easily. GlobalCashHouse.com have home buyers to buy houses in any condition when you want to must cash fast to sell house for divorce, relocation, death, etc reason. We will provide you with a written offer within 24 hours guaranteed! We are your best solution for sell your house fast in stone mountain, Atlanta and decatur city area. Give us a call at 770-310-6213 to know more about us and get best price offer and sell home quickly. Tall guy buy houses is a real estate companies and investors that provide you many reliable and effective services to sell and buy your home in Metro Atlanta area. We buy homes from sellers needing to sell quickly, pay cash at closing and we close on your time schedule. We specialize in suburban homes around Atlanta.